Click here to read what Kelly Bouska, Public Works Director for Valencia County NM has to say about the Walk 'n' Roll packers. Send us a testimonal and a color photo and we will place it on our website. See the WR75 Walk 'n' Roll in action. 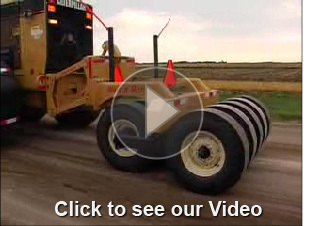 "KING OF THE GRADER ATTACHED COMPACTORS"
Walk�n�Roll Packer/Roller. Copyright 2011. All Rights Reserved.